The word is in the air about Mariachi Cascabel, and they're just getting started. From the Gulf Coast of Texas to the Pacific shores of California, the sounds of mariachi music are cherished by the people. It is with this spirit that "El Mariachi Cascabel" continues to delight the hearts of millions of fans that thirst for mariachi music. 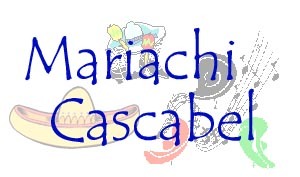 Mariachi Cascabel was on Mother's Day 1989 by Joseph Figarelli and Armando Botello. The group has come to be made up of professional musicians gathered from all corners of South Texas and, because of this, has come to produce music that is fun and rich in tradition. From the original group to a mariachi orchestra, Mariachi Cascabel has made many transitions down over years. It is a bond of loyalty and dedication to the mariachi loving public that has kept Mariachi Cascabel together despite hardtimes. The band enjoys what they do for the crowds at the many occasions they play; from the fiestas to the concerts. The group has entertained many well known stars including George Strait, Ray Price, Gov. George Bush, Nolan Ryan, Larry Hagman and Paul Rodriguez. They have also competed in many well known competitions including the Houston Livestock Show and Rodeo, the Laredo Borderfest Competition, the Kingsville Cinco de Mayo competition and the Alice, Texas "Bullarama." The popularity of Mariachi Cascabel has grown enormously in the few years since the release of their first C-D, "El Gusto Del Cascabel". Audiences are constantly delighted with the variety, energy and youth of this group.